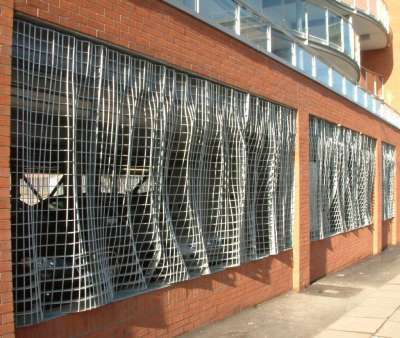 The ‘Curtain Grills’ have been designed to mark Salford’s history of textile production, and reflect the river / water theme of the new development’s architecture. 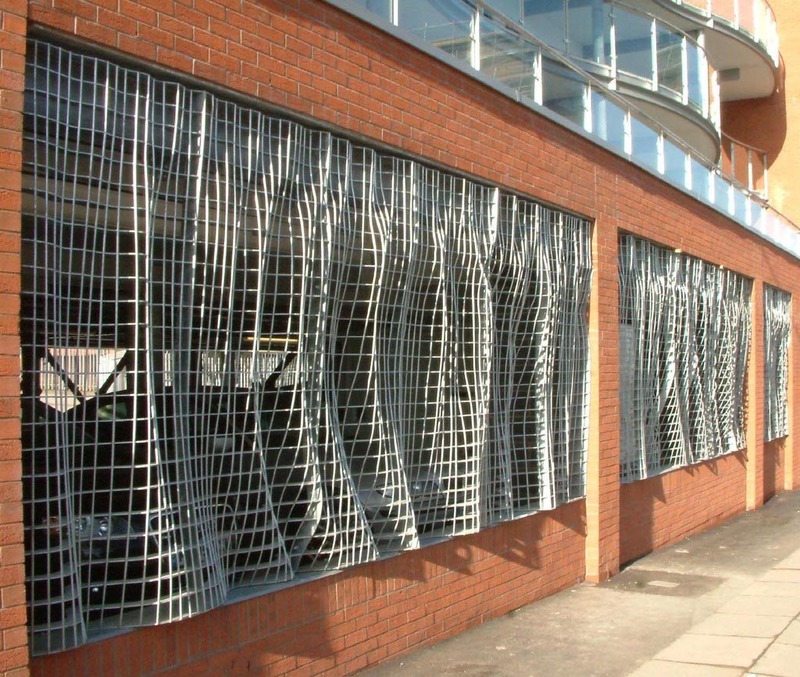 The screens are formed from plasma/laser cut horizontal steel profiles, laid over with vertical 8mm steel rods, forming an undulating grid, from a distance resembling the natural drape of a net curtain. Each screen is different, with a subtle movement through the series along the building – as if blown by a breeze – or perhaps resembling ripples on water. Walking past the screens reveals varying patterns and interference between the vertical elements. 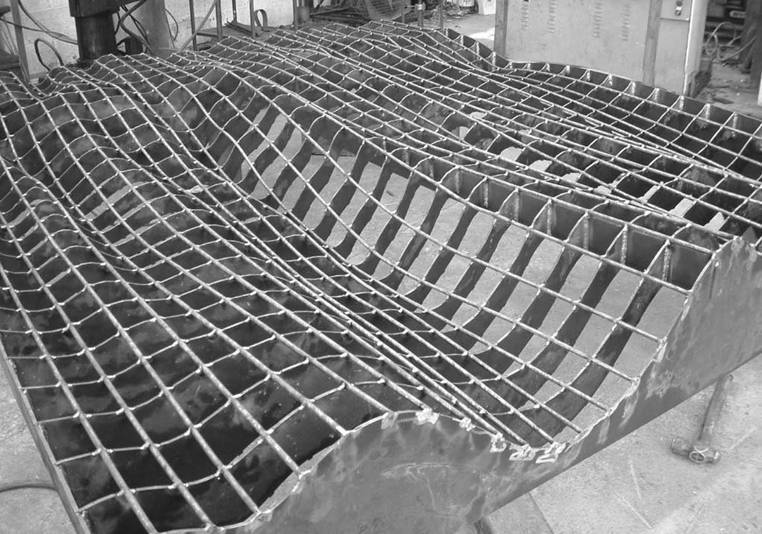 Close-up the meandering silver lines of the horizontal profiles resemble the course of a river. 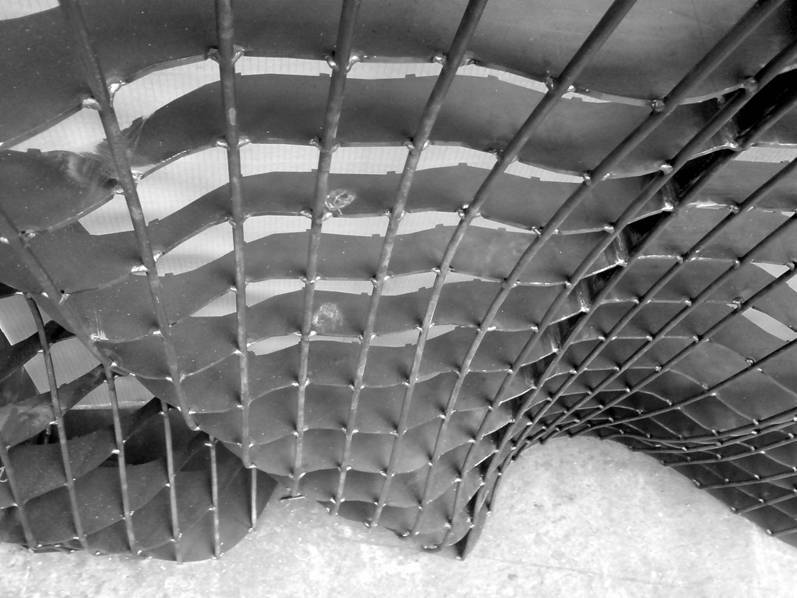 The final design evolved through sketching around various ideas of how to represent woven material in metal. Keeping an ambitious concept within the budgetary constraints meant working on methods to reduce materials use and assembly labour. 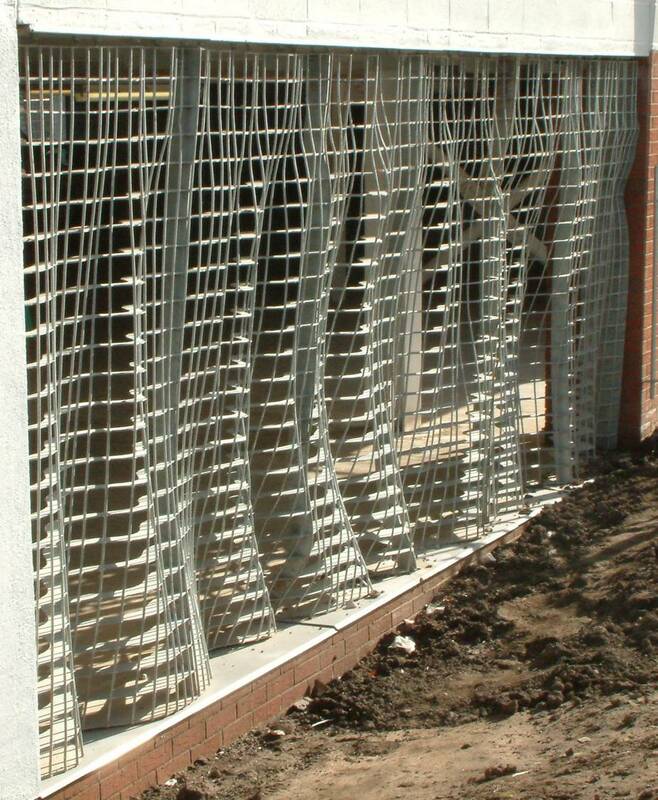 The framework has been designed to accurately slot together using slots pre-cut into the profiles. The 8mm rods sit into recesses on the edges of the profiles. 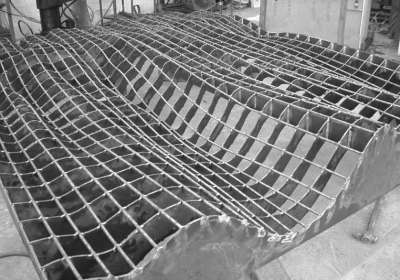 Subsequently no jigs or marking out are required for the assembly. Also material use is minimised by ‘nesting’ the laser-cut profiles – so many can be cut from a single sheet of steel. The screens will be hot-dip galvanized to 80microns, giving a design life of 50 years (theoretically 80 years) before re-finishing is required. The screens provide at least 75% free opening for ventilation. 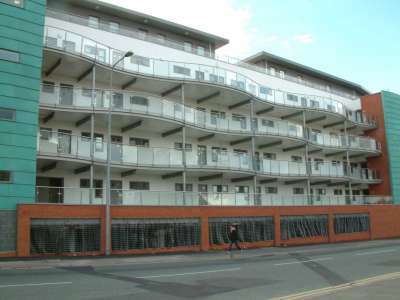 The design has been analysed (Structures1 structural engineers, Bristol) to ensure compliance with relevant strength requirements for grills (horizontal UDL of 1.5kN/m2).